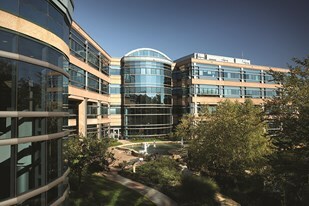 Founded in 1931, Menorah Medical Center moved to its new park-like campus in Johnson County in 1998. The medical center campus includes a 158-bed acute care hospital, doctors building, and outpatient clinics offering the highest standard of patient care and cutting-edge technology. MMC has a comprehensive medical staff with more than 600 physicians who offer exceptional experiences and extraordinary medicine.The campus design maximizes the area's natural beauty and provides a relaxed and friendly environment for patients and guests. Menorah was the first hospital in Johnson County dually certified as an Accredited Chest Pain Center and Certified Stroke Care Center.